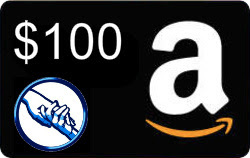 Welcome to the Team Abnegation $100 Gift Code Giveaway. During the month of April HarperTeen is promoting the release of the book Insurgent by Veronica Roth. This giveaway was organized to help promote the release of that book. To learn more about this book series please visit the Publisher's Website: http://bit.ly/GQFqbF. The most recent post was to Win a signed picture of Rob, Kristen & Taylor! Book is the best friend in all over the world it will be any time any where with you. Books are best friend of loneliness, its good habit to read such informative books, nice article.